Overanalyze and jockey Rosie Napravnik will break from the outside in the West Virginia Derby on Saturday, August 3, 2013 at Mountaineer Racetrack. West Virginia Derby 2013 Overanalyze & Departing: The 44th running of the West Virginia Derby takes place Saturday, August 3, 2013 at Mountaineer Racetrack in New Cumberland, West Virginia. The 1 1/8 mile dirt race for three-year-olds has a $750,000 purse. Overanalyze and Departing are the two most popular horses on everybody’s radar for the 2013 West Virginia Derby. The Albert Stall, Jr. trained Departing has won four out of six races throughout his career, the last being the Illinois Derby on April 20th. Departing’s owners, Claiborne Farm and Adele Dilschneider, have openly stated they would like the gelding to have a long racing career, therefore longer breaks between races are scheduled for rest. Departing’s last race was the Preakness Stakes on May 18th where he finished 6th. Jockey Robbie Albarado will team up with Departing for the 2013 West Virginia Derby and will break from post position #5. Todd Pletcher’s Overanalyze is a powerhouse of a horse despite his failed attempts at a Triple Crown jewel. The colt most recently finished 7th in the Belmont Stakes and 11th in the Kentucky Derby. 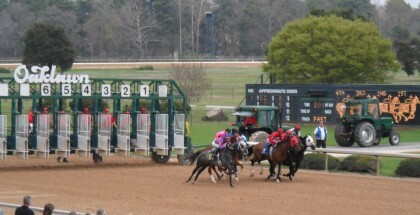 Overanalyze may have won the Arkansas Derby on April 13th but his record is shaky before that. 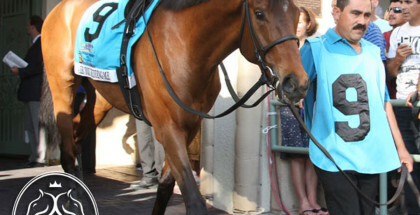 Jockey Rosie Napravnik will lead the Repole Stable owned Overanalyze across the finish in the 2013 West Virginia Derby. 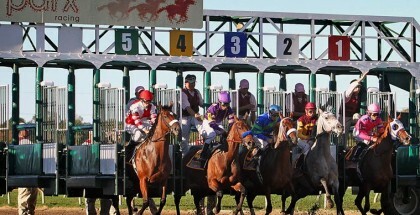 Departing and Overanalyze are everyone’s top picks for the 2013 West Virginia Derby. 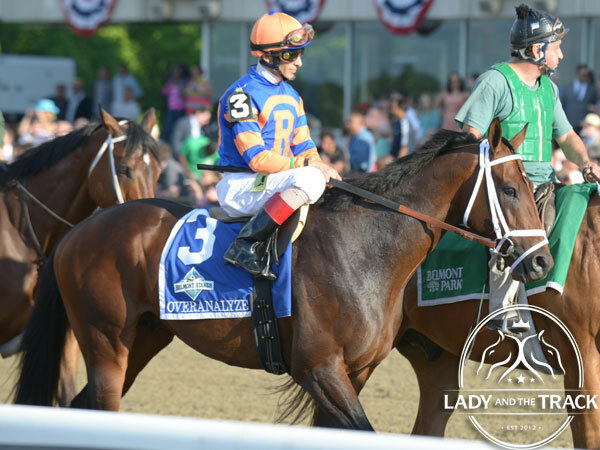 The two superstar horses are common household horse names after this year’s Triple Crown run. But who else should we look at for the West Virginia? I’m feeling Ruler of Love with jockey Calvin Borel on the mount. Ruler of Love hasn’t won a race since September 15, 2012. The bay colt finished 3rd in his last race at Arlington Park on July 13, 2013. Ruler of Love will break from post position #2 in the 2013 West Virginia Derby with 15/1 odds. Lady and The Track would like to wish all of the contenders in the 2013 West Virginia Stakes the best of luck. Good Luck! Safe Run! The West Virginia Derby is one of nine stakes races at Mountaineer Racetrack and is the 8th race of the day with a post time of 5:45 PM EDT. 1 Shaler 30/1 Parker/Ruberto, Jr.
5 Departing 5/2 Albarado/Stall, Jr.
Overanalyze finished 7th in the Belmont Stakes and 11th in the Kentucky Derby.